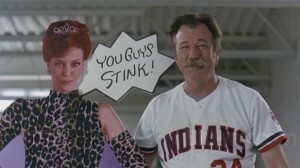 He isn’t the best known actor to come from the famous sports comedy, Major League, but anyone who has seen the film can remember James Gammon as exasperated manager Lou Brown who has to bring last place Cleveland Indians into a MLB caliber team. James Gammon passed away at his daughter’s home in California on Friday after a battle with cancer of the adrenal glands and liver. Gammon was best known for his role in Major League, but also had a thriving stage career. Gammon co-founded the MET, and won many L.A. Drama Critics Circle Awards for acting and directing. In addition to his stage work Gammon also had reoccurring roles on shows such as Silverardo and Nash Bridges. Gammon’s memorial service will be at the famous theater he helped make what it is today, the MET. The service is scheduled for sometime in August.